Harris in Wonderland has a history that you probably are unaware of even if you are already familiar with the company. The story of Harris in Wonderland begins in the 1940’s, when the original store was started by Seth Harris as an offshoot of his favorite past time of keeping and breeding fish. 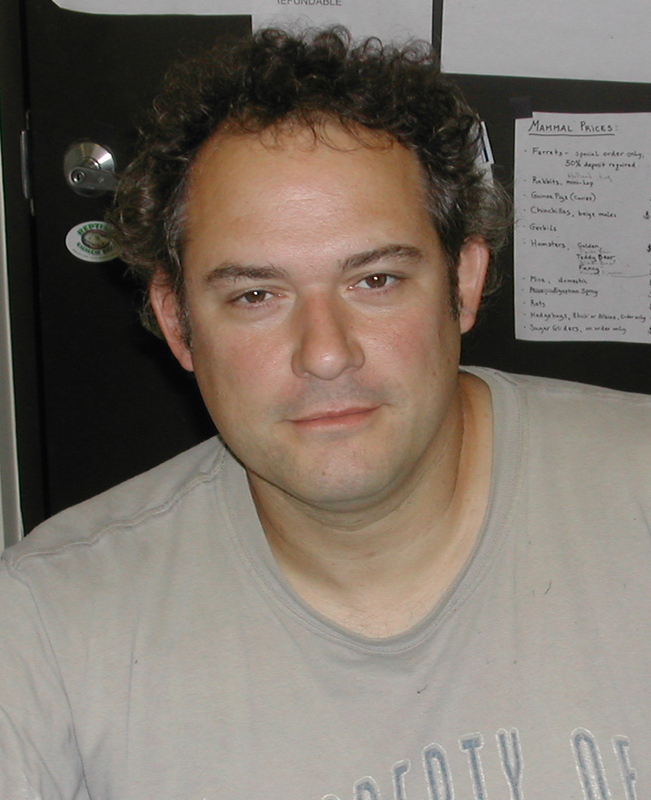 Seth ran a little business out of the house for a short time until he was able to rent a small store on New Britain Avenue in West Hartford, CT. 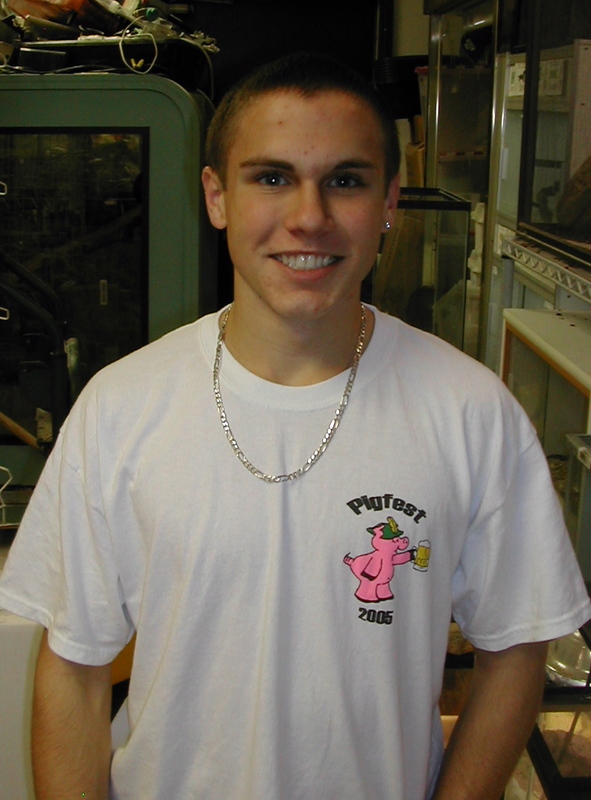 The store developed and expanded and it was run with the help of family members while Seth continued his education in Biology at the University of Connecticut. The original store closed when Seth entered the military and then went on to a 31 year teaching career at Granby Memorial High School. Harris in Wonderland was re-opened in October 1999 in a cramped 400 square foot space adjacent to a bar in Bloomfield, CT. We outgrew that space within the year and tiring of smelling smoke from the bar (it was legal to smoke inside then), moved to an 1800 square foot free-standing building right next door. We operated in Bloomfield for 6 years and decided a better location was a must for us to expand the areas of the store that we wanted to. A plan to move the store to Avon began to take shape. The store was moved to a location in Old Avon Village, a move that proved to be a stepping stone to our current location. After 7 years in the bottom level of a confusing cluster of eclectic shops, we made a move to a more prominent location. 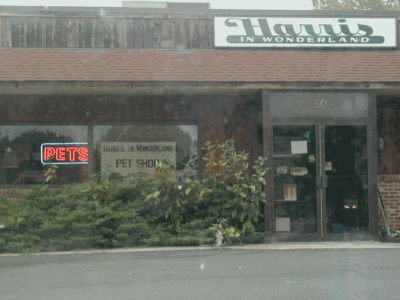 Today, the store has a physical location at 12 West Main Street (route 44) Avon, Connecticut. Marine life has been expanded to occupy a room all to itself at the Avon store. Harris in Wonderland is your best source for freshwater and marine fish, corals and invertebrates, reptiles, amphibians, and small mammals (birds can be ordered, but we no longer carry them in the store). Returning to our strengths as a fish and reptile specialty shop, the store has expanded supplies for reptiles, amphibians, fish, and ponds. We can do pond installations and will build a pond on site, stock it with fish and plants, and help you with questions and even maintenance as well. Our recent expansion into on-line sales allows us to reach you across the country. So enjoy the site and let us know how we may help you. The founder of the original Harris in Wonderland, Seth has a background in biology that includes a biology degree from the University of Connecticut, a 31 year career teaching high school biology, more that 50 years of fish keeping experience, and a life long interest in animals, natural history, and ecology. Seth’s son, Adam, has a biology degree from Hartwick College and has been keeping and breeding reptiles for more than 20 years! Traveling to Costa Rica, Thailand, Australia, South Africa, the Bahamian Islands and across the United States and Canada has allowed Adam to study ecosystems and environments first hand. Jim worked with us at Harris in Wonderland for several years and brought with him years of fish keeping and breeding experience. Jim had successfully bred and maintained many fish species and was particularly successful with African cichlids. He was an active member of the Pioneer Valley Aquarium Society. Jim passed away unexpectedly and we will miss him and always remember his enthusiasm and contributions to the hobby, PVAS, the store, and all he helped and touched in his time with us. Ashlee has been at Harris in Wonderland for many years now. She has been an invaluable resource for those seeking advice on proper husbandry for their reptiles, amphibians, and fish. She has worked tirelessly to provide support for many independent breeding projects and has helped to develop further breeding and rearing efforts with reptiles at Harris in Wonderland.